The largest city in the state, Joinville is located in the north of the state of Santa Catarina. Considered an economic and technological hub, Joinville is a major industrial power and has a strong trend for business tourism. Known as the City of Flowers or the City of Princes, its roots are in the German tradition. 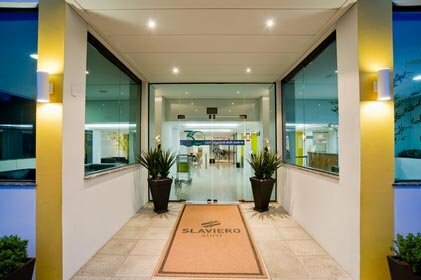 Slaviero Hotéis has the best option in hotel in Joinville for you and your family. There is no dearth of leisure options in Joinville. In addition to the beauty of the city, filled with flowers and trees, there are many attractions such as museums, theaters, bars, restaurants, squares and trails. Joinville is also known in the world for having the only branch of the Bolshoi Ballet outside Russia.